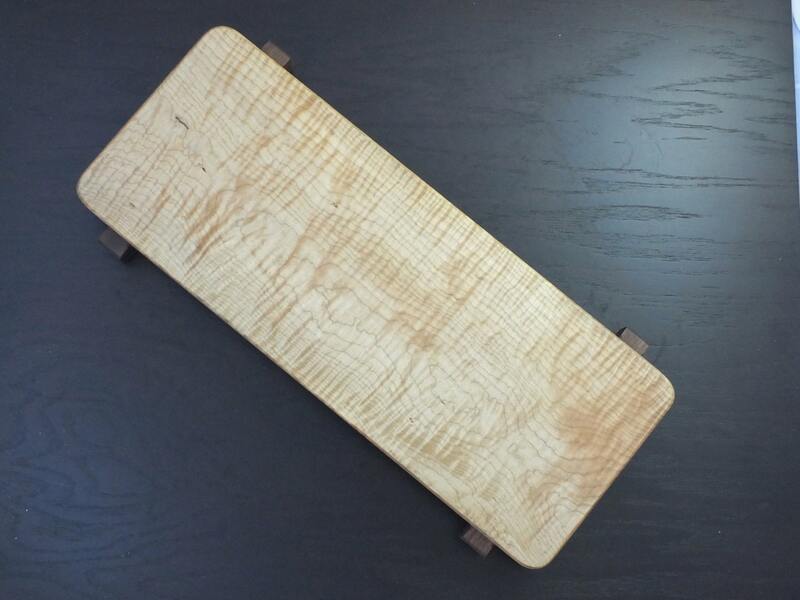 Unique Curly Maple sushi board, cheese board or charcuterie board. Beautiful hostess, anniversary, wedding or housewarming gift! 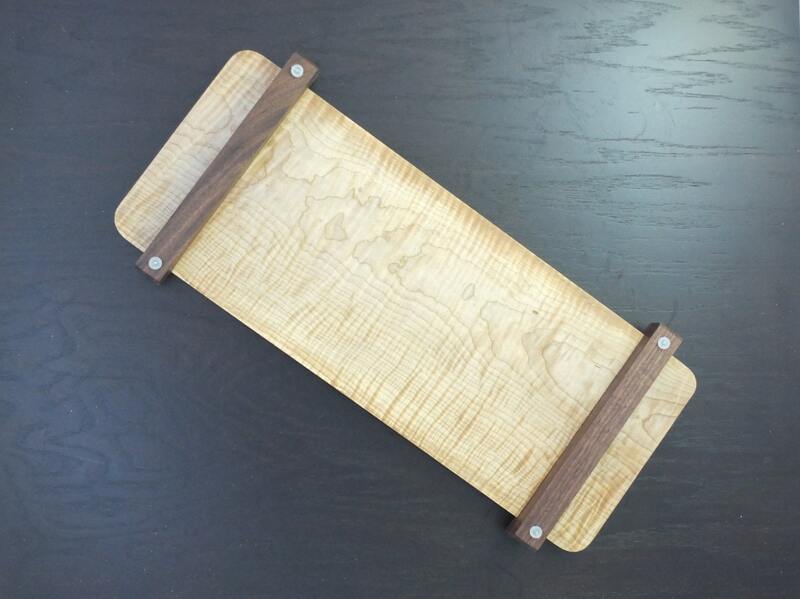 This elegant sushi or serving board features beautiful, unique curly maple to create a serving piece that looks lovely on any table. Walnut feet compliment the beautiful figure in the maple. 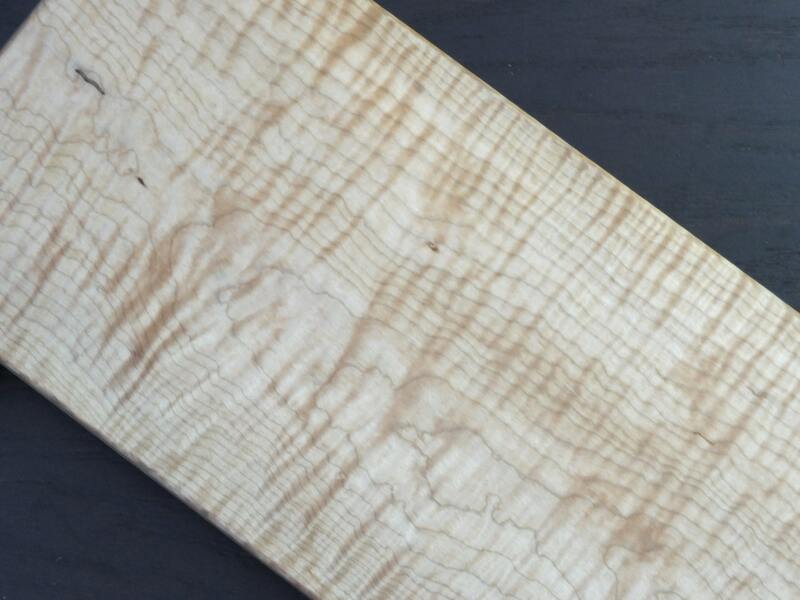 Curly Maple looks incredibly dimensional, but is as smooth as glass. Boards with this amount of figure are rare and very difficult to find. 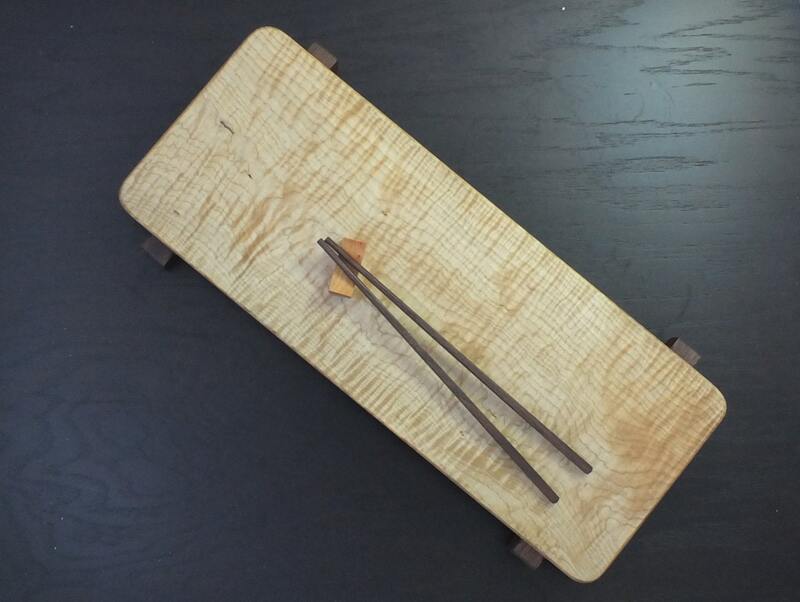 It will be an elegant addition to your kitchen!